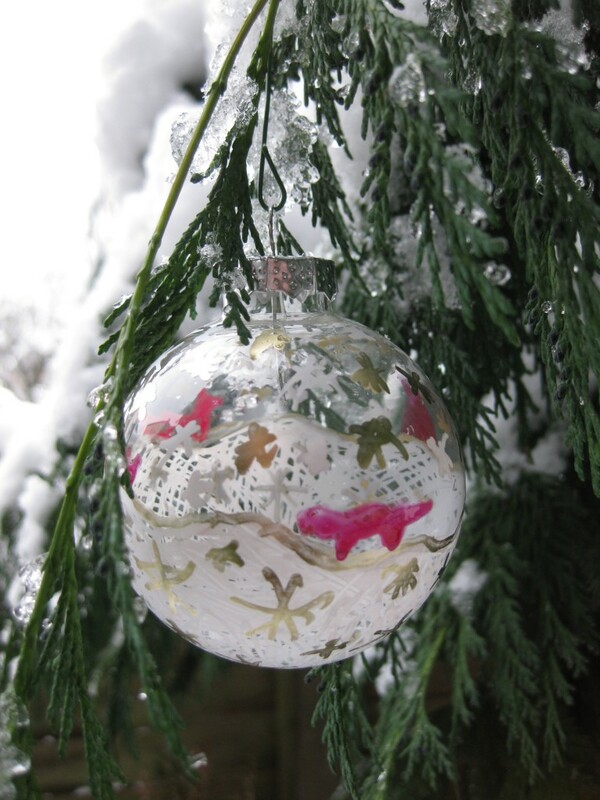 The Make Lounge were at the BUST Craftacular on Sunday, offering bauble painting workshops. This was my effort, little pink bunnies and weasels frolicking in the snow. Nature provided real actual snow to make my photo better, which was handy.